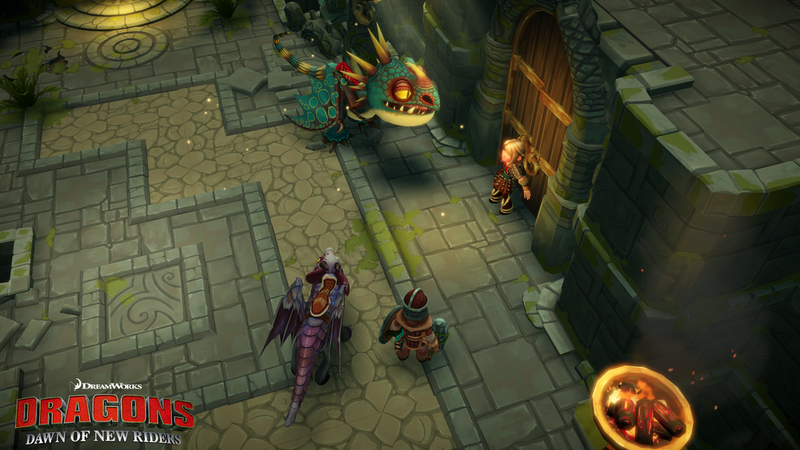 Summary: The Dragons tie-in game has some promise with a handful of fun puzzles and enemy encounters, but doesn't have enough content to keep players coming back. 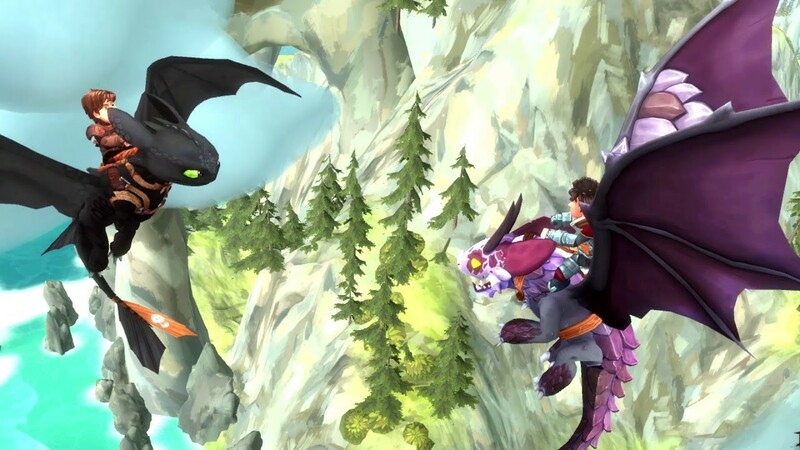 With the worldwide release of the final How To Train Your Dragon film upon us, Climax Studios have teamed up with Richard Hamilton (current writer of the Netflix Dragons series Race To The Edge) for a brand new story in the franchise. 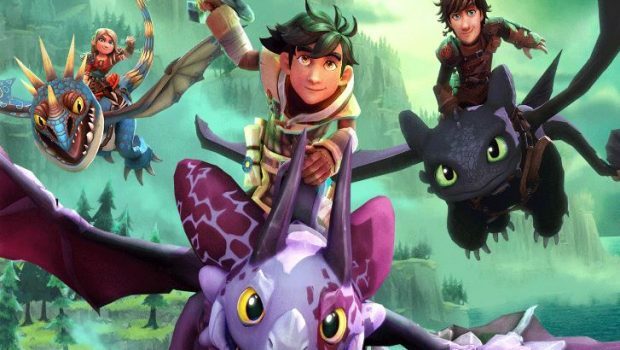 Dragons: Dawn Of The New Riders is set inbetween the second and third films, with Hiccup juggling the responsibilities of being Berk’s new chief, as well as regularly setting out to explore and rescue dragons. When the game opens you’re introduced to your main character, a new addition to the Dragons franchise, called Scribbler. He wakes up with a severe case of amnesia and, sitting next to him, a mysterious egg that’s about to hatch. After fighting off a few dragon trappers and meeting Hiccup and Toothless, the egg hatches and we are introduced to Patch, a new rare breed to dragon. Named a Chimeragon, Patch seems to be made up of different breeds of dragons. 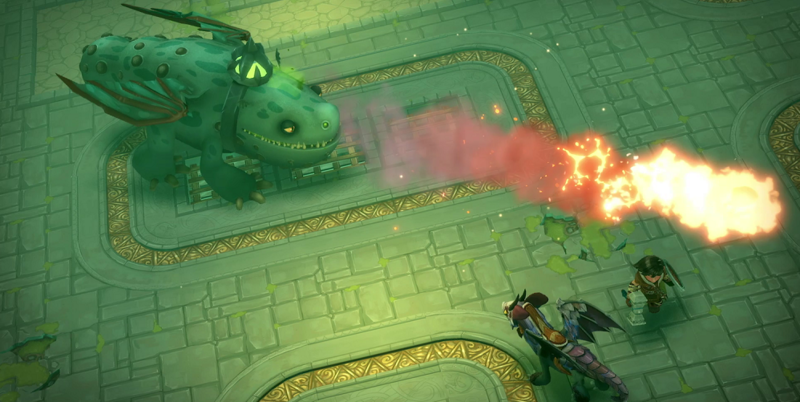 Someone describes him as a “patchwork dragon”, and that he shows signs of having many different dragon abilities which introduces some fun gameplay elements. It’s then revealed that Berk has (once again) been destroyed, and Scribbler sets off to seek out this new threat and learn more about his background. When you start to get an idea of what Scribbler’s background is, the story is surprisingly simple. It definitely has more in common with the TV show spin-offs rather than the three movies. As a fan of the movies, the one thing that I’ve never loved is the big-bad villain. In each of the three films, the villain is only there to add some urgency to the plot and doesn’t really have a character of their own. Nothing has changed in the game, the villain, who comes in about a third into the game, is pretty lack-luster and only there to include a bit of mystery and urgency. I wasn’t a fan of the writing and dialogue either. There is no voice acting in this game, all of the dialogue is read in text-form. My main issue with it isn’t the amount of reading, but the amount of exposition there is in these sections. 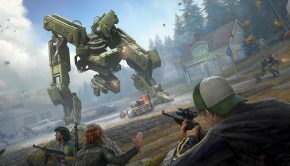 Most of the conversations you have consist of Scribbler asking Hiccup or Astrid something, them then explaining exactly what you want to know, Scribbler then repeating what they said, a quick joke or nod towards the larger franchise, and then you going off to complete your mission. They don’t try to hide the exposition at all, and this leads to the story being clunky and unmemorable. Occasionally there is a joke or two thrown in, most of which are somewhat entertaining, but they are immediately ruined by the other aspect of the dialogue sections which completely baffled me. Your dragon reacts to the joke, either by making a funny face or making a laughing sound. This would be fine, except that the animation for this completely stops the flow of what’s going on. The animation takes about a second to load, in which the character model for the dragon quickly switches into the right position in a very unnatural way. The action is then played out, usually taking three to four seconds, the game quickly pauses for another second to start the dialogue back up again, and then everyone carries on like nothing happened. It’s quite awkward and took me out the experience. This game ran fairly well, I didn’t have any crashes or glitches, but this is the one feature that felt a bit buggy for me. 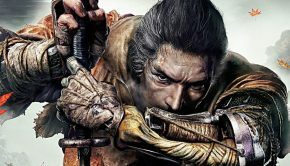 The game is split up into multiple islands or zones with each containing multiple challenges on the ground, for example having to traverse various obstacles or enemy camps, and underground dungeon-like areas, which get more complicated with their environmental challenges. The boss battles usually appear in the dungeon-like levels. 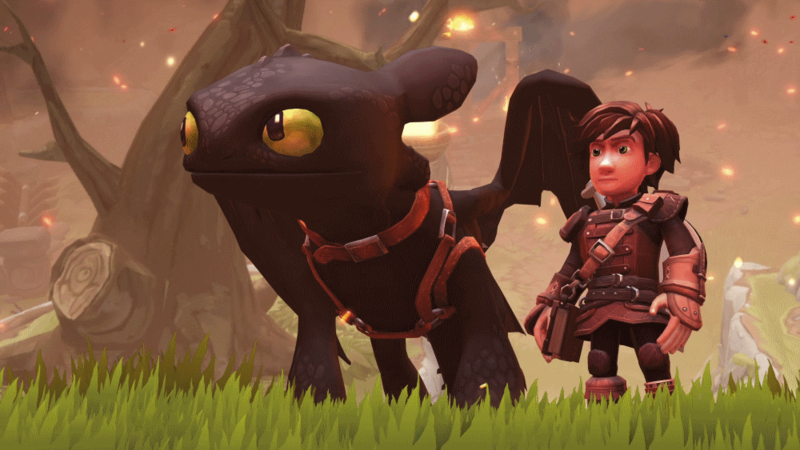 The gameplay is simple enough, you walk around flipping levers or standing on pressure pads all while working together with your dragon to solve puzzles. 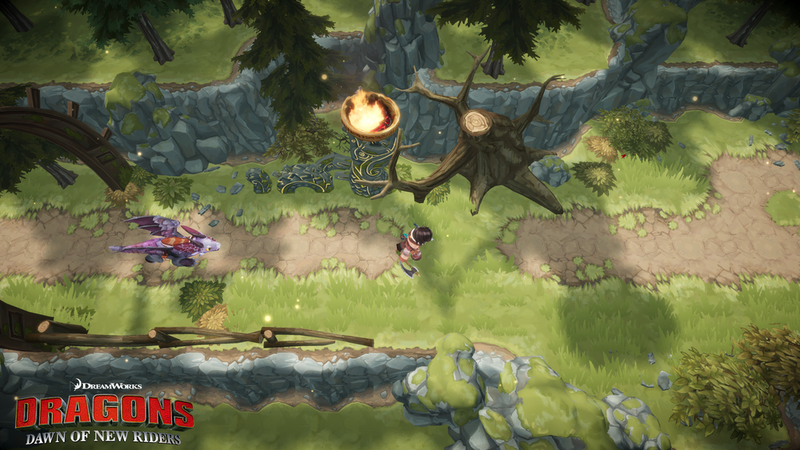 You also have the option to hit plants, tables, and other various items to gain herbs or leaves which you can trade in for health potions or health buffs. It’s quite simple, which is exactly what you want for the games target demographic. You do come across some environmental challenges, the most prevalent being spear-throwing-machines. These are easily avoided by dodging. 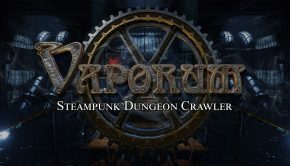 In the later portion of the game you come across fog, which you can clear for a limited amount of time by using one of Patch’s various abilities. However I found it quicker and easier to just walk through these sections as the level design is quite simple and predictable. The inclusion of such obstacles are a nice touch though and do change things up. In terms of combat, it’s also quite simple. You get an axe pretty early in the game and a hammer a little later on, and switch between these to defeat enemies. You also have the ability to block with a shield, however I found that it didn’t always lock onto the right enemy so didn’t use it that regularly. You can dodge, which works well, or you can use your dragon’s abilities to stun enemies. The enemy types are pretty simple as well, ranging from trappers to the occasional not-so-nice dragon. I did like how whenever you encounter an enemy dragon the goal was not to defeat it in combat, but to free it from the villain’s various brainwashing experiments. While the gameplay is simple, there is one element of it that I absolutely loved. Whenever you use your melee weapons and they hit an enemy, a fun musical note plays, the same way that it does in the movies. It’s a small detail, but is perhaps the only part of the game outside of the flying that made me feel like I was playing in the same world those three fantastic films created. The one element I was really excited for after watching the trailers was the flying. You unlock it after completing the first zone, and it was the first time in the game when I felt the need to go out and explore. It plays rather well as well, I like how you can control the speed, using the wind to traverse the area was a lot of fun. The camera is quite fiddly though, it’s automaticly inverted and takes some getting used to. When you unlock flying, you also unlock the world map, consisting of various smaller islands that you can go and check out to get more resources if you so please. I only checked out one of them and never felt the need to go to any of the others. It is a decent way to expand the very short run time of the game. I enjoyed elements of the graphics. When you’re flying around, the graphics take on a painted look. If you fly closer to any of the islands you can see that it looks quite simple and I was a big fan of this. For the bulk of the game though it’s pretty much what you’d expect from a top-down / third person puzzle-based title. The environments look good, with the underground sections being my personal favourite. However the character models are a bit all over the place. All the original characters like Scribbler look quite good, but for the characters from the films I’m afraid I can’t say the same. It might be the size of their heads being slightly too big, or maybe the shape of their face, but something wasn’t quite right. The dragons all look great though. If you’re looking to check out this title, it’ll cost you a bit. This is a full priced game, averaging at around $70AUD, and seeing as I finished it in just over 4 hours I can’t say it’s worth the price of admission. It might be one to wait for until it goes on sale.